I wouldn’t have believed this if I didn’t witness it with my own eyes. It was early morning in the Serengeti and a heard of Thomson’s Gazelle ran suddenly - they were being hunted. Then, one was caught, a baby gazelle. Our Tanzanian guide watched closely and began taking photos of his own. This wasn't a normal hunt he explained, because there were two cheetahs, and cheetahs are solitary cats. 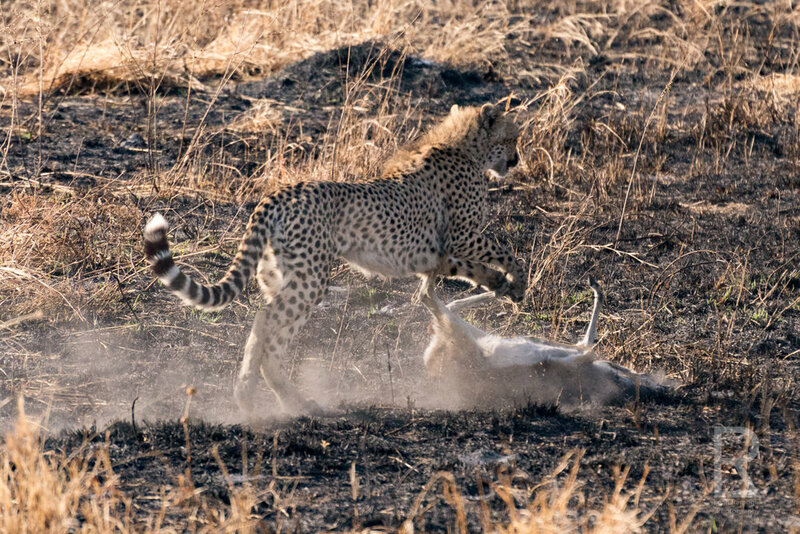 He pointed out that the gazelle had been caught, but the cheetah didn't kill it yet. The mother was teaching her cub how to hunt. As we all watched in amazement, the baby gazelle somehow overcame the shock of its situation, got up and tried to escape alive.Then the cheetah cub began to practice its hunting skills. 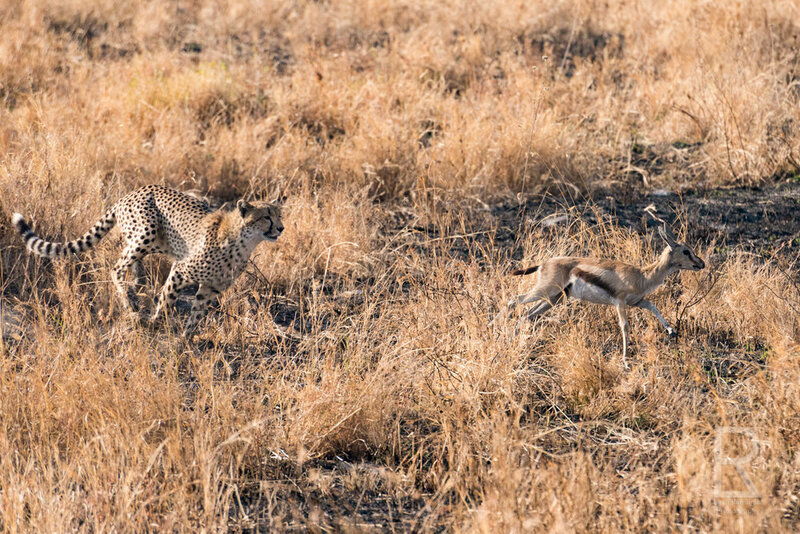 We watched as the gazelle made a run for it but the cheetah cub's speed was no match. Again and again the baby gazelle would get up and run, and get swatted at and trampled by the cheetah cub. I stood in the jeep and photographed what seemed like the slowest death ever. Watching in amazement at a cheetah cub learn to hunt, while also witnessing a young gazelle's long fought battle for life, if not just for a few more moments. I was watching what I thought was the slowest death ever, and out of no where, a lion appeared. In hindsight looking at these photos, I realized that the cheetahs had noticed the lioness arriving much before I did, they were looking off in that direction moments before I realized what was going on. I was so distracted watching the cub hunt. But the lioness had heard the whimpering of the baby gazelle and was hungry. Food is scarce in July when most animals have left the Serengeti migrating to Kenya. It was clear that the lion is king of the jungle, or in this case, queen of the jungle. Two cheetahs already had the gazelle, but they wouldn’t keep it with a lion approaching. The lion ran towards the cheetah cub & baby gazelle. As soon as the cheetah cub was distracted by the large lioness, the gazelle tried its escape plan one more time. This time it worked. Imagine that. Two cheetahs, a lion, and a baby gazelle, and the baby gazelle lives. It was the most incredible moment of nature I’ve ever seen. I never expected to see all three cats go home hungry.